I've been in the Humber Valley this week, talking about local stories and history. So it seems fitting that this week's contribution to #FolkloreThursday be about one of the region's most enduring and well known legends: that of the Old Man in the Mountain, a strange face which can be seen in the cliffs outside of the town. The Old Man himself is located just east of the city and is best seen when traveling east to Steady Brook. About two minutes outside of Corner Brook is a rocky cliff known as Breakfast Head. 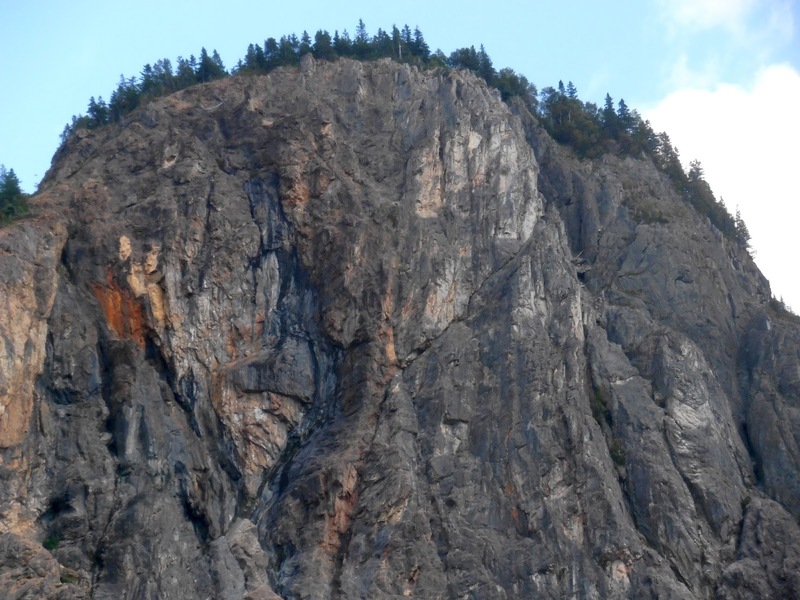 If you slow down and look up, the Old Man in the Mountain can be seen on the rockface overlooking Shellbird Island in the Humber River. It is often said that the face is hard to locate, but patience and a bit of imagination is all it takes to find it. In the photo above (from A Place To Call Home) you can see the face in the lower left quadrant of the image. The image in rock resembles the face of a fisherman, or pirate, or Beothuk, depending on who you talk to. The face leers out over the Humber, looking down on Shellbird Island from his lofty, rocky perch. Legend has it that the old man was carved into the mountain to serve as a marker for an undiscovered treasure. Shellbird Island is situated in the Humber River Valley, the main arterial route between the granite hills surrounding Corner Brook and the only transportation link for east to west land traffic in the area. Captain Cook explored this river valley in 1767, and found Corner Brook to be an excellent base of operations for his work in charting the coastline. Cook was marine surveyor of Newfoundland from 1763 to 1767. Cook's maps were the first to use accurate triangulation. Much of his work was so accurate that many of his charts could still be used today. He went on to explore much of the Pacific and was killed in Hawaii in 1779. If only he had stayed in Newfoundland! Although Cook was probably familiar with Shellbird Island, there is no indication that the legendary treasure is his. Indeed the legend states that the treasure was buried by the Spanish or by pirates, and that it was one of them who carved the mysterious face. The theory that the treasure has Spanish origins may have some basis in reality, as the Spanish were frequent visitors to the west coast of Newfoundland long before Captain Cook started his chart making work there in the eighteenth century. The Spanish fishery in Newfoundland and Labrador, especially that originating from Basque ports, peaked between 1570 and 1580. In 1578 Anthony Parkhurst, an English explorer and merchant, reported 100 Spanish fisherman working in Newfoundland. Tensions between England and Spain however contributed to a decline in the industry, with Spanish ships becoming targets of pirates and privateers. As English and French ships came to the Island more often, the Spanish abandoned the Avalon Peninsula in favour of the south and west coasts. Spain's involvement in the Newfoundland fishery was fated not to last. Harassment of Spanish vessels by pirates and the English meant that by 1597 Spain relied on the French Basques for supplies of Newfoundland cod. The busy fish trade, and the even richer fur trade between New France and Europe, proved to be an excellent hunting ground for pirates. And Newfoundland's long unprotected coastline, with hundreds of hidden bays, made the island a perfect spot for pirate hideouts. The west coast, well away from the more densely settled east coast, was ideal hideout territory. 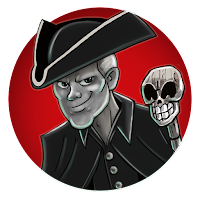 Several years before Cook arrived, the west coast was the base of operations for one of piracy's most legendary and bloodthirsty couples, that of Eric and Maria Cobham. In 1740 the pair arrived near St. George's, within easy striking distance of the St. Lawrence River trade routes. The Cobhams were mainly interested in furs, which brought a high price on the black market. Legend maintains Maria was part of her husband's expedition to Newfoundland and lived here from 1740 to 1760. It is claimed that she was the first European woman to have lived on the west coast of the island. She was also a ruthless pirate. Maria and her husband made a point of sinking every ship they captured, and killing everyone on board to be certain there would be no witnesses. Shipowners assumed their ships had been lost at sea with all hands due to natural disasters. 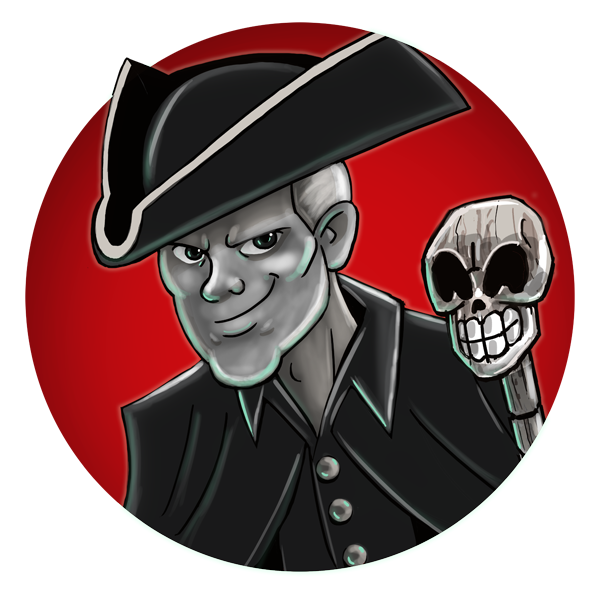 While the Cobhams may be more myth than history, their buccaneering enterprise is linked to an established history of piracy on the west coast. But is the Shellbird Island treasure theirs? Other researchers have argued that the treasure is related to the most famous pirate in Newfoundland history, Peter Easton. In 1989, authors Frank Galgay and Michael McCarthy published a book entitled "Buried Treasures of Newfoundland and Labrador", now sadly out of print. In the book, they devoted a short chapter to the Shellbird Island treasure. Peter Easton, well known on the east coast of the island for his pirate fort at Harbour Grace, was also active on the west coast. Like the Cobhams, Easton was well aware of the riches to be gained by plundering the merchant ships engaged in the fur trade of New France. Easton intercepted several merchant ships from Quebec City and Montreal, and made quite an impressive haul before being sighted by a French warship. Easton and his crew realized they were outgunned by the French ship, so they quickly set sail back to Newfoundland. Easton made his way to the mouth of the Humber River to hide from the French. According to legend he decided to bury his treasure, just in case. 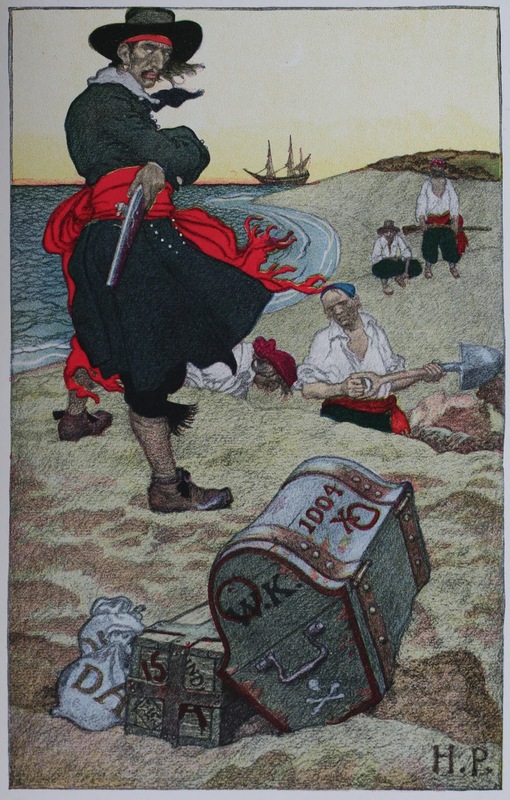 The gold was divided into three chests, and Easton entrusted a mate to take the gold and another sailor in a small boat to Shellbird Island to bury it. In one version of the story, the Old Man in the Mountain was already there, and Easton decided to use it as a marker to remember where the gold was buried. The mate and sailor buried the gold on the island. As the sailor started to fill in the last of the three pits, the mate drew his flintlock pistol and fired! The sailor slumped dead over the chest, and he was quickly buried by the mate in order to provide a ghostly guardian for the gold. Tragedy struck the mate on the way back to Easton's ship. At a section of the Humber called the Devil's Dancing Pool, the boat was swamped. The mate drowned, taking the exact location of the gold with him. Easton, it was said, later returned to Shellbird Island. He left empty-handed, the gold still buried deep beneath the earth, the spirit of the dead sailor left to protect it. Over the years, rumours have circulated that portions of the treasure have been found. In the late nineteenth century it was said that one of the three chests was uncovered, and that the gold doubloons inside were shared in secret. Then, around 1934, word spread that a second chest had be uncovered. Once more the finders shared their gold in secret, leaving one last chest just waiting to be found. Such is the stuff of legends. There are many who feel the entire story is just that, a legend. These skeptics argue that the image on the cliff is the result of the natural erosion of the cliff, with the "face" just a random collection of rocks and hollows. Certainly, there are many naturally occurring rock formations all across the island, and indeed, all over the world, that are said to look like people, animals or other objects. There is even another "Old Man in the Mountain" in Hawaii, and another one in New Hampshire. But what about the legend of the buried gold? If you discount century-old rumours, no gold has ever been found on Shellbird Island. David Cordingly, a naval historian and world renowned expert on historical pirates, has argued that the whole idea of buried pirate gold is a nineteenth century invention. Cordingly writes, "although buried treasure has been a favourite theme in the pirate stories of fiction, there are very few documented examples of real pirates burying their loot." The idea of buried treasure was made widely popular by the publication of Robert Louis Stevenson's novel "Treasure Island" in 1883, and it has also been a firm part of Newfoundland folklore for generations. Perhaps it has remained such a fixture in our legends and storytelling traditions because of the slim chance that the gold might be real after all. And as long as the Old Man in the Mountain looks down over Newfoundland's own Treasure Island, there is still a chance that one of us will strike it rich.